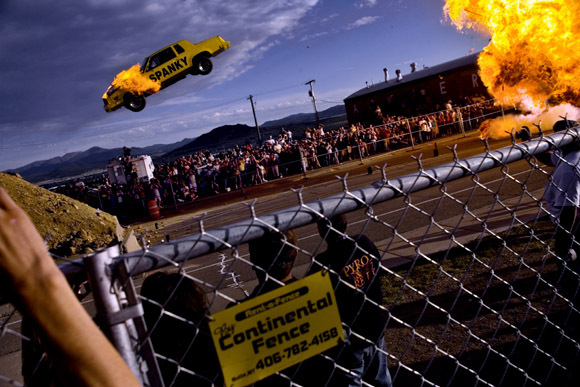 Atlanta Photojournalism Contest Sports Action: Honorable Mention - Spanky Spangler comes up short on a 200-foot daredevil jump at the culmination of Evel Knievel Days in Butte, Montana, USA. Spangler survived the crash. 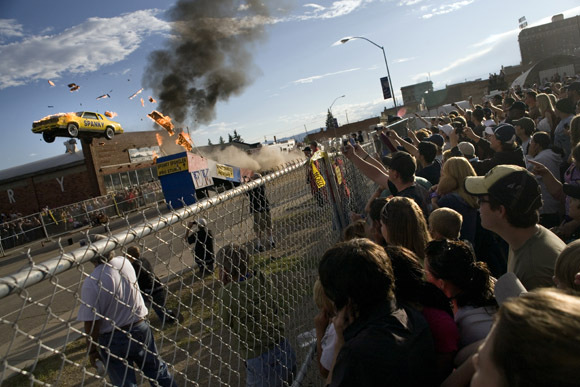 I’m excited to announce that I’ve been awarded an Honorable Mention for Sports Action in the 2009 Atlanta Photojournalism Contest for my photo (above) of Spanky Spangler’s botched daredevil jump at Butte, Montana’s Evel Kenievel Days festival. As you can see in a shot taken 1 second earlier, I don’t have the only pictures of the crash…. Spanky Spangler comes up short on a 200-foot daredevil jump at the culmination of Evel Knievel Days in Butte, Montana, USA.